You can now set up order pickup through the Ecwid shipping settings — this will give your customers the option to come to your store (or anywhere else) and pick up the ordered items themselves. You’ll save time and money on shipping, and customers will have the option to visit the location closest to them to get their products quicker. Plus, customers don’t need to enter shipping information, so they can checkout faster. has business partners with physical locations. Go to the Ecwid control panel → Settings → Shipping. Click on the New Pickup Method button. In the pop-up, add the pickup instructions for the customer. Describe in details how, where, and when your customers will be able to pick up their orders. Remember to include contact information and any terms for pickup. They will see this information at the checkout and in order email notifications. You can set up both delivery and pickup options in your store. In that case, your customer can choose the delivery method they prefer during checkout. When your customer places an order, you can find it in Orders on your Sales page in the Ecwid control panel. Once the order is ready, you can change its status to Ready for Pickup.We added this new status in the fulfillment status list. It helps to clarify whether the order is ready for pickup by the customer. After you have changed the status, your customer will get an email notification with the order details, pickup instructions, and location. You can also set several pickup location options, so your customer can select the most convenient place. To do so, go to the Ecwid control panel → Settings → Shipping and add one more pickup method. The order pickup method will be shown in the checkout along with other shipping methods. When the customer chooses order pickup during the checkout, they won’t be asked to enter the shipping address, so the checkout will take less long. 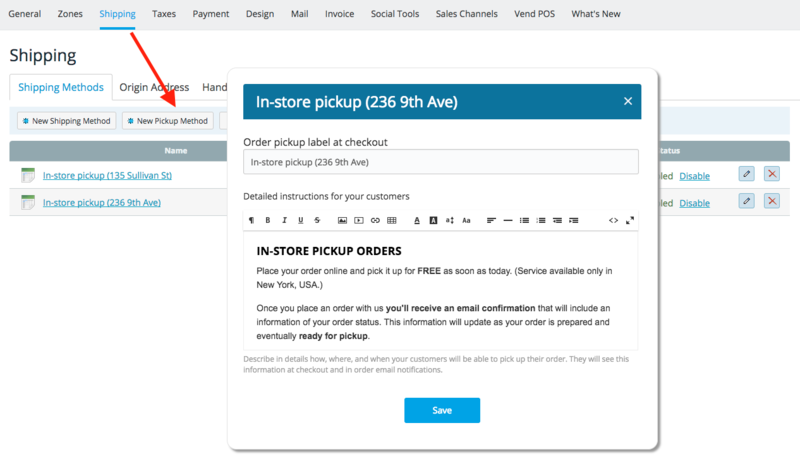 After you have changed the status, your customer will get an email notification with the order details and pickup instructions. The cool thing is that you can edit the template of email notifications using an HTML template. Go to Settings → Mail. Change the design: add or remove the logo, change colors, rename titles, etc. There is a lot of data that can be added to the template with the help of special variables. You can find the full list of these variables here: How to edit mail notifications. How can I let customers pick the date and time of pickup? Use the In-Store Pickup app for Ecwid. Besides setting up pickup location options, the app allows your clients to choose the date and time of the pickup, so they can select the most convenient place and time. The app is optional and can be installed on top of basic order pickup functionality. 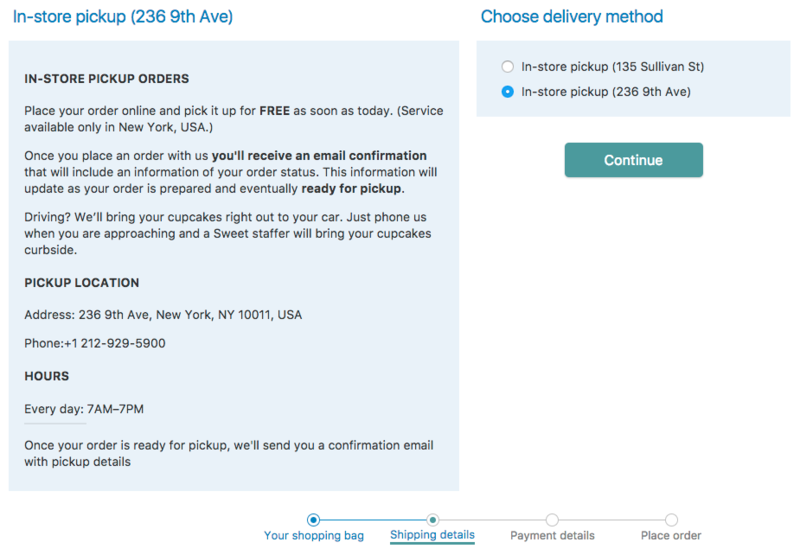 In-Store Pickup app costs $4.99 per month and offers a seven-day trial period. Check it out in our App Market. If you have questions about the order pickup option, please read our support documentation or get in touch with one of our Support Ninjas.